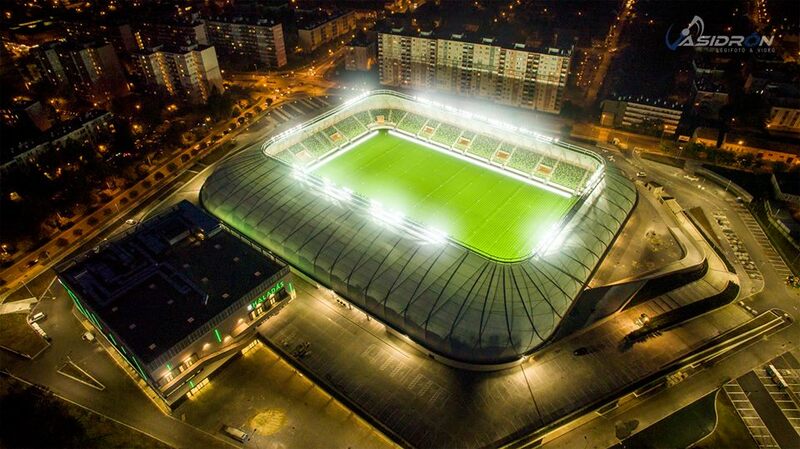 Hungary's latest stadium and indoor hall are officially complete. The complex will be first shown to all citizens of Szombathely on November 8. 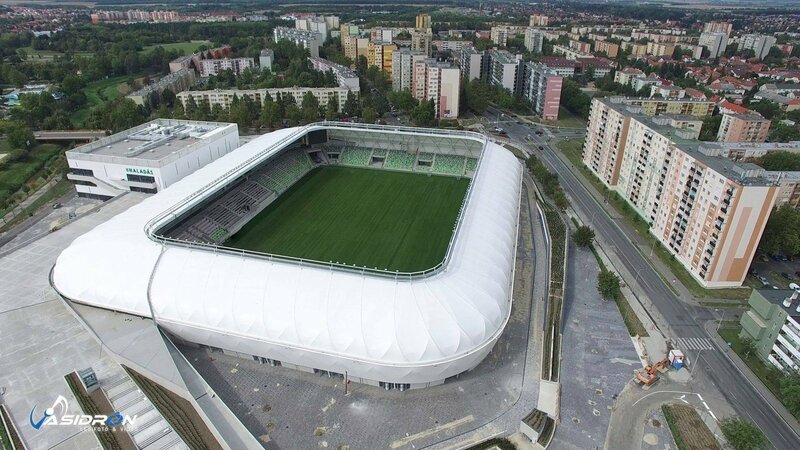 It took just slightly more than initially anticipated but, as Hungarian investors and contractors got us used to, the new stadium in Szombathely was built in a very sensible time frame. Instead of 13 months suggested before groundbreaking it was roughly 18 months, which is still timely for a stadium of almost 9,000 and indoor hall of 460 seats. Both venues are joined by elevated parking for over 290 cars, too. With deadline for delivery expected to be by end of September and early October, the Friday announcement of official handover by Haladás Sportkomplexum can be considered on schedule. Now supporters of Haladás football club and other residents of Szombathely need to wait until November 8 for official opening ceremony. What they're getting from public authorities is a UEFA Category 4 stadium, able to host almost all international games, apart only from cup finals. All of its seats (most precise information we have suggests 8,656) offer far better sightlines than at the old ground that used to occupy the site. The complex's architecture is simple yet interesting. The stadium itself is soft and lightweight, covered with membrane almost entirely. Meanwhile the indoor arena is more robust and rough with its sharp cubic shape. The two are surrounded with nicely landscaped public areas, including the parking ramp. Perhaps the only significant downside of the project is its price tag. Initially announced to be below HUF 9 billion in 2014, it grew to over 13 billion when bidders submitted their offers. Now, after being completed, the price tag stands at 15.2 billion, which represents €49 million. That said, the project was financed by Hungary's central government, which means the city received by far the largest public investment in 20 years.